How do I diversify a portfolio? How Do I Build a Diversified Portfolio? Simply put, to “diversify” means to make sure pick a variety of stocks in different industries. History shows that at different points in time different parts of the market outperform the others. At times the technology stocks perform well, sometimes it’s the banking stocks, sometimes it’s international stocks, sometimes it’s defense, sometimes it’s medical, etc. Since it is difficult to predict which industry is going to perform the best in the future, the best thing to do is to just own a few stocks in each industry so that you always own some of the top performing industries. This way, over time, your portfolio returns are less volatile and, hopefully, always positive. With real money, most advisers would recommend you have about 30 stocks in your portfolio, but with your HowTheMarketWorks portfolio, you should try to have at least 10 stocks in your portfolio and those stocks should be from at least 5 different industries. Investors diversify because it helps to stabilize a portfolio’s return, and the more stocks you own the more likely you are to own a stock that ends up doubling or tripling in price. For example, if you own an equal dollar amount of 10 different stocks and 9 of them stayed at the same price and one of them doubled, your portfolio would be up 10%. People invest in the stock market because they want to make more money than they could make if they just left the money in the bank. Investors especially do not want to LOSE money. “Capital Preservation” is the idea that you want to preserve the money you have invested; investors never want to be in a position where it would have been better to not have invested at all. So to make sure that investors are protected from price swings, and to help simplify managing their portfolio, investors try to maintain a fully diversified portfolio. 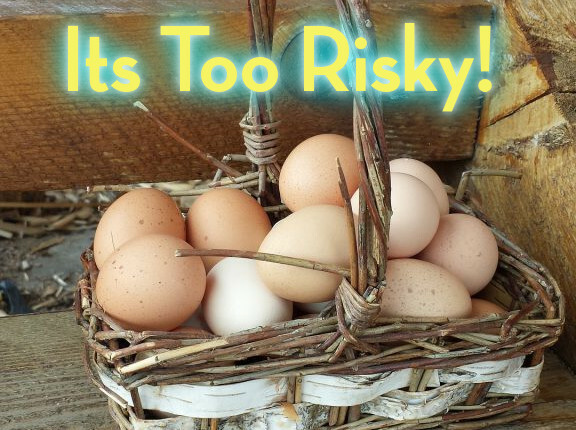 When you diversify your portfolio, you make sure that you never have “too many eggs in one basket.” If one of the stocks you have invested in starts to go down in price, you have limited your exposure to that stock by only having a smaller percentage of all your assets in that stock. For beginners, this can mean having no more than 20% of your portfolio in any one stock, ETF, or Mutual Fund. With real money, as you invest more money into your portfolio and as your portfolio grows in value, you should keep buying different stocks sot that eventually you have less than 10% of your money in any one stock. Diversification means that, for example, if you are investing in stocks in the Banking, Energy, Healthcare, Manufacturing, Luxury and IT industries, you would try to spread your money as evenly as possible across these industries. This way, if the Energy sector as a whole starts to have problems (for example, if the price of oil falls quickly), you don’t have to worry about your entire portfolio, and you have limited the losses you are exposed to from a single market shock. To diversify by sector means that you would split your investments across companies based on the type of business they do; “Energy” companies would be oil producers, electricity companies, and companies that specialize in transporting materials needed for energy production. “Manufacturing” companies are firms that build everything from toys to cars to equipment to airplanes. The idea behind sector diversification is that if there is some larger trend that negatively affects an entire industry, you would want to make sure not all of your investments are affected at once. For example, low oil prices caused a general decline in energy stocks (of course, with some companies still growing, and others hit especially hard). 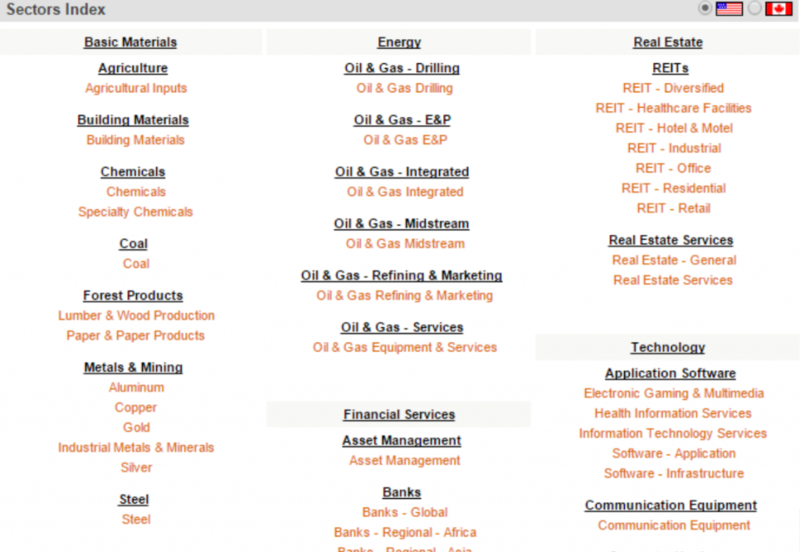 If you’re looking for a good way to find stocks in different sectors, Click Here to see how to research stocks by sector. This is the most basic type: just making sure you don’t have too much money in any one stock. For example, if you want to put 10% of your money in the banking sector, that doesn’t mean you should put 10% of your money in Bank of America. You should have a few bank stocks in case one of your bank stocks is poorly managed and it goes bankrupt. Individual stocks are more volatile than sectors, and sectors are more volatile than entire security types, so this is the core of all diversification. Asset Allocatoin means owning a variety of investments like real estate, stocks, bonds, gold/silver and cash. Yes, cash is an investment! For many years, the rule of thumb was to subtract your age from 100, and have that percentage of your overall value invested in stocks (so if you are 18 years old, you would invest 82% of your portfolio in stocks). The idea is that over time stocks have consistently outperformed other investments so therefore the younger you are, the more you should be invested in stocks. As you get older and closer to retirement when you will rely on your investments, you have less time and you should prefer the low but consistent returns of bonds and cash. Another way of putting this is that younger investors are more risk-tolerant and older investors are more risk-adverse. This line of thinking is getting to be a little out-dated, with the rising popularity of ETFs, more choices for mutual funds, and the ability to invest in riskier bonds, but the idea of making your portfolio more risk-averse over time can still be a good idea. Asset allocation is different from diversification – you might have a wide asset allocation, with almost no diversification! You might be divided between 3 asset classes, but the entire portfolio is still concentrated on Healthcare/Biotechnology, so it is not diversified at all. Exchange Traded Funds (ETFs) and Mutual Funds are good places to start investing because they securities are diversified themselves. ETFs and mutual funds take money from investors and invest that money in a variety of securities that meet the stated objective of that fund. Some funds invest in large companies, some in European companies, some in utilities, some in commodities like gold and oil, etc. For example the ETF FHLC is a collection of Health Care stocks. If you are looking for an easy way to invest in a particular industry, without having to research which particular companies you want to choose, this is a quick route to take. Diversifying is good, but don’t go too far! If you start diversifying too much, your portfolio starts to get “thin”; you might not lose much if one company starts to go down, but you also won’t gain much if another company you own starts doing very well. Beginners should usually build their first portfolio on HowTheMarketWorks with between 8 and 10 stocks, ETFs, or Mutual Funds at a time. You can always switch the investments you have, but try to avoid having too many, or two few, investments at once. Over-Diversification can also make it more difficult to manage your investments; if you are not able to follow up with company news and stay on top of your investments, things could start turning bad, and you could start losing one before you even know why! To get started building a diversified portfolio, identify five sectors from the image above that you are interested in. From each of those 5 sectors, pick one stock that you are familiar with. Determine the tickers for those stocks, get quotes, review their charts, make sure those stocks on on upward trends, and then buy those stocks in your virtual account. If you started with $100,000 then invest about $10,000 in each of those 5 stocks. Don’t be afraid, it’s only play money and you need to jump in and start learning how the market works. 1 of 5) What does it mean to "Diversify" your portfolio? 2 of 5) What is Capital Preservation? 3 of 5) Why would you want to diversify between sectors? 4 of 5) What is a good way to stay diversified? 5 of 5) What is a danger of over-diversification?